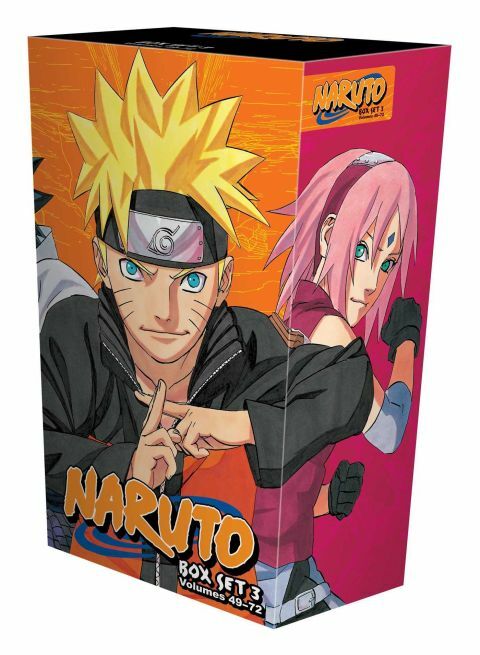 The third and final Naruto Box Set contains the thrilling conclusion to one of the most popular manga series of all time. This set features volumes 49~72 at a substantial savings over buying them individually, along with an exclusive premium. As Konoha village rebuilds, the leaders of the ninja world convene for the Gokage Summit. Defeating the Akatsuki threat may require the rival villages to work together. Can they put their longtime differences aside long enough to defeat Madara's plans? War is coming to the ninja world, but what will Naruto's and Sasuke's role be in the coming conflict?